While the United States is currently experiencing a bicycle revival, women are not equally represented in the growing number of cyclists. “Almost all the growth in cycling in the USA has been among men between 25-64 years old, while cycling rates have remained steady among women[i],” according to Dr. John Pucher, professor of urban planning at Rutgers University. Women account for only 24% of bicycle trips made nationwide, although there is some variation in this trend[ii] in bike- friendly cities like Portland, Washington DC and Minneapolis, where approximately 37-44% of the bicycle population is female. Nonetheless, these cities still do not have the same female ridership numbers as the Netherlands and Germany[iii]. Why don’t US women bicycle more? Reasons appear to range from concern over road conditions to the logistical hardship of transporting children and running errands; multiple studies suggest that perception of safety is a major barrier[i][ii][iii]. Interest in riding as adults, however, may also stem from education and encouragement to ride as young girls. Combining targeted bicycle education for women and girls with a safer bicycling environment may likely have a positive effect on the number of women who bicycle. 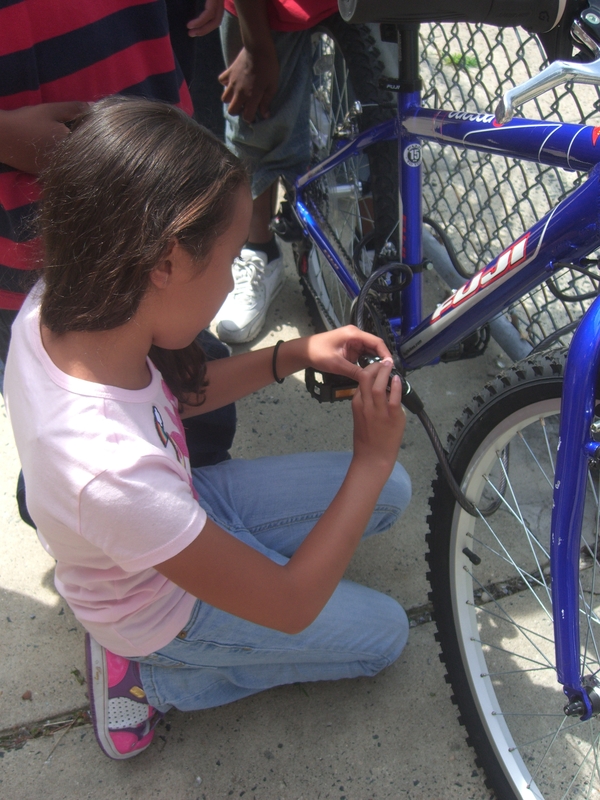 In 2009 and 2010, the Voorhees Transportation Center designed and implemented NJ BIKE SCHOOL[iv], a bicycle education program to teach school children between the ages of 7 and 14 the skills and knowledge necessary to ride bicycles safely in their neighborhoods[v]. 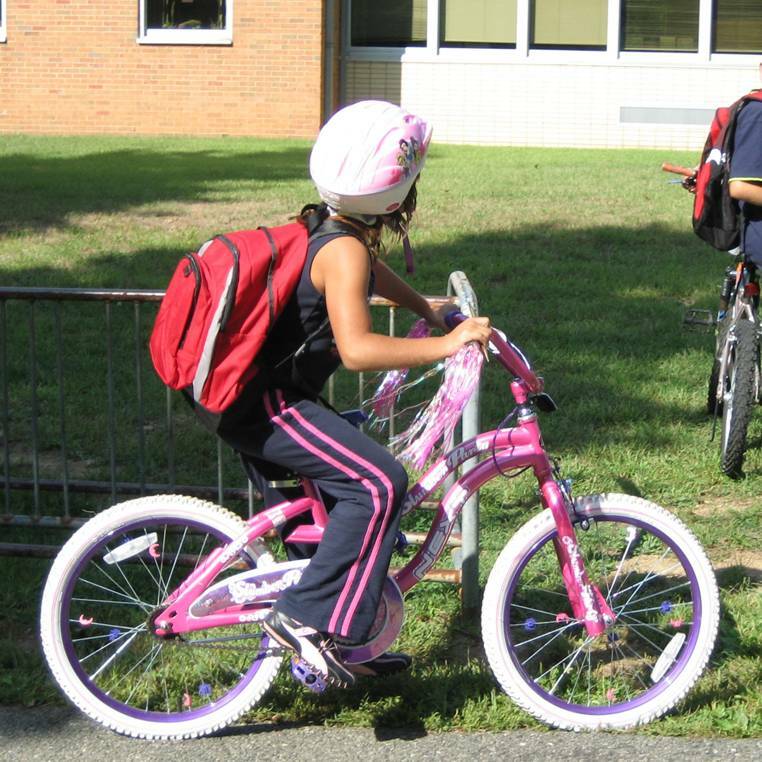 The goal of NJ BIKE SCHOOL was to increase the use of bicycling as a mode of transportation to school and to decrease the occurrence of crashes. In addition, the NJ BIKE SCHOOL wanted to address the gender gap in bicycling and identify any travel behavior differences that exist between boys and girls that may be worth considering when designing future bicycle training programs. According to analysis of data from the NJ BIKE SCHOOL program completed by Dr. Ugo Lachapelle, Professor at Université du Québec a Montréal, although the number of students surveyed was limited, approximately 70% of boys and girls reported riding a bicycle about once a week or more. Apart from bicycling to a sports field (17% for girls and 24% for boys), there were no significant differences in the destinations boys and girls reached by bicycles. On the other hand, according to Dr. Lachapelle’s study, there are a number of barriers that prevent children from bicycling to school. Surprisingly, distance to school was not found to be the most important deterrent. Rather, 29% of boys and 34% of girls stated that their school would not allow them to bicycle there. In addition, parents seemed wary of letting their girls go to school by bicycle (23% of girls reported that parents did not allow them to bicycle to school versus 18% for boys). Although children reported bicycling more frequently on streets and sidewalks near their home than on streets with traffic signals or four-lane streets, boys were more likely than girls to ride farther from home and to bicycle on four lane streets. Furthermore, when asked where they rode most often, girls reported riding on sidewalks and driveways most often, and boys reported on riding on the streets most often. Regarding helmet use, 76% of children reported always wearing a helmet when riding a bicycle. However, a higher proportion of girls stated they did not own a helmet (15% for girls and 9% for boys). Boys also more frequently reported never or only sometimes wearing helmets compared to girls. Children were also asked about previous bicycle experiences. Nearly 60% of children that bicycled have fallen or crashed on a bicycle in the past. Boys were significantly more likely to have fallen or crashed than girls, and a motorized vehicle was more likely to have been involved.[vi]. Dr. Lachapelle’s results suggest that although girls report riding a bicycle as often as boys, they may be less inclined to venture farther from their home or to ride on the street. Bike education programs and classes can be tailored to help girls gain confidence on the road, increase their knowledge about bicycle maintenance and safety, and encourage them to carry these skills with them as they bicycle into adulthood. [i] Pucher, John. “Bicycling Renaissance in North America? An Update and Re-Assessment of Cycling Trends and Policies,” Transportation Research A, Vol. 45, No. 6, 2011, pp. 451-475 (with Ralph Buehler and Mark Seinen). [ii] National Household Travel Survey, 2009. [i] Emond, Tang & Handy. (2009) “Explaining Gender Differences in Bicycling Behavior.” Transportation Research Board Annual Meeting, 2009. [ii] Garrard, J., S. Crawford, and N. Hakman. Revolutions for Women: Increasing women’s participation in cycling for recreation and transport. Summary of key findings. School of Health and Social Development. Deakin University: Victoria, Australia. 2006. [iii] Garrard, J., G. Roes, and S.K. Lo. Promoting Transportation cycling for women: The role of bicycle infrastructure. Preventative Medicine, Vol. 46, No. 1, 2008, pp. 55-59. [iv] Funded through the Division of Highway Traffic Safety and the New Jersey department of Transportation with funding from the Federal Highway Administration. [v] NJ BikeSchool is based on League of American Bicyclists curriculum with support from Bike NY. [vi] Source article pending, to appear in Accident Analysis and Prevention. This entry was posted in Bicycling, Education, Encouragement. Bookmark the permalink.